Winters left Kolkata earlier than usual this year. 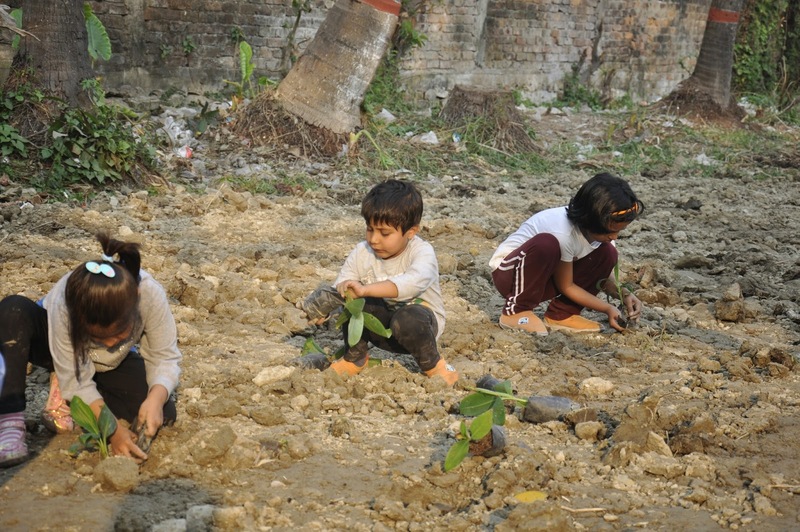 Thus, February 8 was a sweaty day for those who took part in Sustainable Green Initiative’s planting drive at the Society for Protection of Children in India at Joka, near the Indian Institute of Management (IIMC), Kolkata (SPCI) in West Bengal, India. Of the 425 fruits trees – guava, mango, papaya, lemon, banana, pomegranate and 25 sal trees for timber in the future, 250 tree saplings were planted at the home and orphanage for girls at Joka that day. The rest were planted on the 9th and 10th of February 2015. 400 of these fruit trees have been planted by SGI on behalf of Mr Mahendra Khaitan of Wires & Fabriks SA Ltd., and Philipp Schoeller & Sara Schoeller and Delphine Raizner & Walter Raizner. SGI will nurture the trees for a period of two years to ensure survival and fruiting. No one was complaining, however. The parents were happy the kids had a good time planting fruit tree saplings and getting a feel of the soil. After all, how many opportunities do our children get to play in mud when we live in houses with marbled floors with just a few potted plants in the balconies? The children couldn’t have asked for more as they unpacked the sapling from its plastic cover, lowered it gently into the ground andpatted the roots down with soil. None of them once complained as they watered the planted saplings with the smelly jeevamrut. Jeevamrut helps nourish and rejuvenate the soil. Not just fertilise the plants. Pia, who is the deputy superintend of SPCI and is called Pia didi by everyone, was happy to hear that the banana and papaya saplings will bear fruit in the coming 9-12 months. The girls living in SPCI were excited to see so much activity in their home and were happy to make new friends. 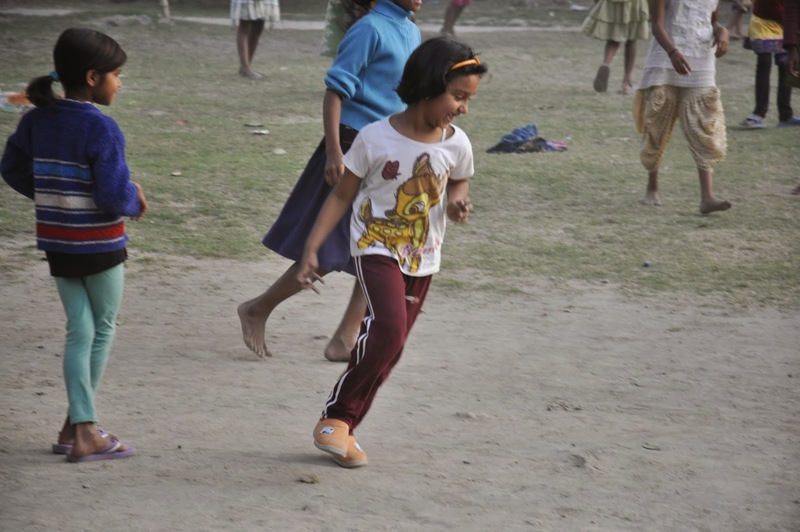 As evening fell, it was also time for play – most girls kicked up a storm playing barefoot football, while others practised dance moves from the latest Bollywood hit song. Bhai, the home’s oldest dog, enjoyed all the patting and cuddling from visiting children and their parents. The younger pups were just happy to run after them. There can’t be a better place to plant fruit trees, can it?